Shawn Greenlee (Assistant Professor, Foundation Studies) has been invited for a one month residency during early summer at Gyeonggi Creation Center (GCC), located on Daebu Island within the city of Ansan, South Korea. During the residency, he will focus on composing for Korean traditional music instruments in computer-mediated contexts and continue his collaboration with Kyungso Park, a preeminent gayageum player. 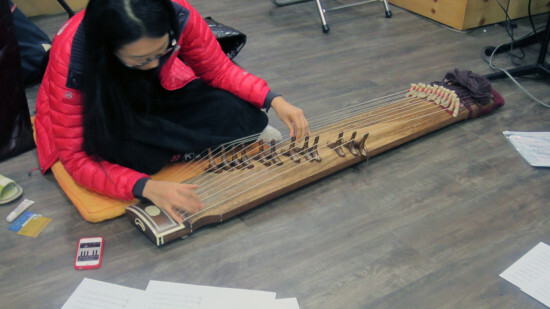 While in Korea, Greenlee will also travel to Seoul to participate in a two-week intensive workshop at the National Gugak Center, the primary institution of learning for Korean traditional music. Greenlee’s travel and work in Korea is supported by the Rhode Island Foundation through the MacColl Johnson Fellowship.